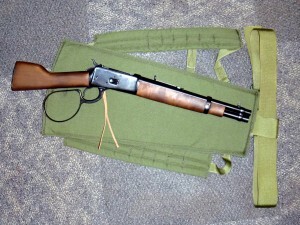 The Short Barrel Scabbard was designed for the lever action/Mare's Leg weapons systems like the Rossi Ranch Hand, Puma 92 Bounty Hunter and short barrel shotguns. 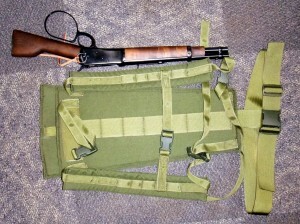 The short barrel scabbard can be modified with padded shoulder and waist strap. 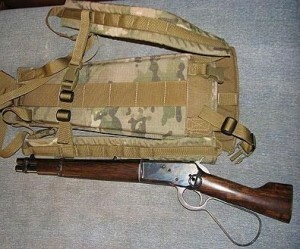 Molle can be added for personal preference. Please contact us if you need a custom short barrel scabbard for your weapon system. 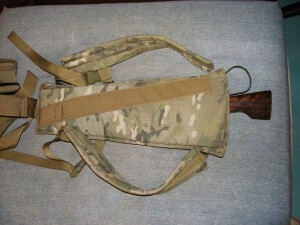 The scabbard is available in Multicam, A-TACS AU, A-TACS FG, Coyote, Ranger Green, Khaki, Woodland, OD and Black.